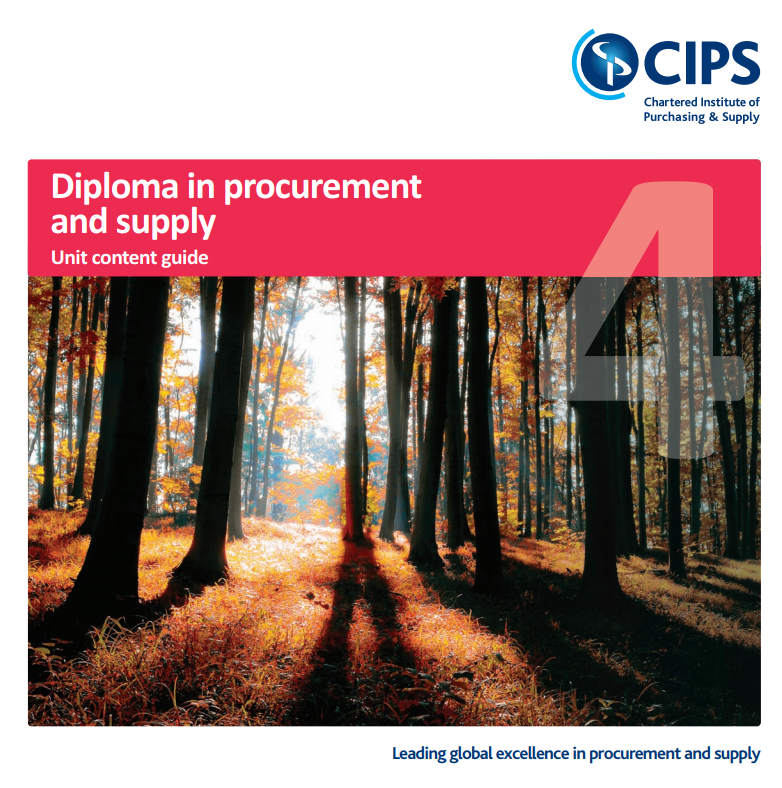 The CIPS Level 4 Diploma in Procurement and Supply qualification aims to give individuals some insight into best practices, learn to make effective use of information and develop their decision making skills and improve efficiency and effectiveness. This is the highest CIPS Level you can start at when working towards MCIPS status. CIPS Level 4 is for buyers who are looking to progress into management, and those with previous qualifications and experience. This is the highest level you can start the CIPS qualifications at. Each unit is assessed through a 3-hour exam consisting of essay style questions. The assessment for D3 Sourcing in Procurement and Supply will be an unseen case study and questions.